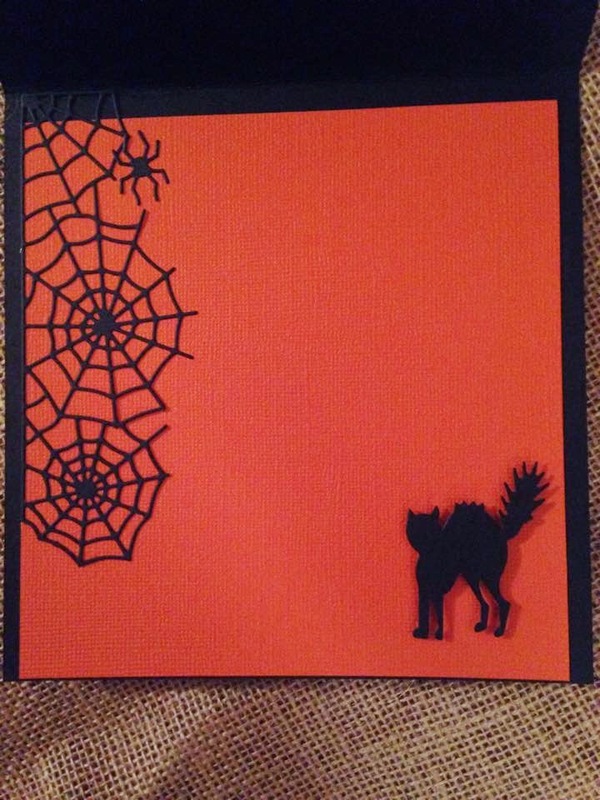 Now that Halloween is just a day away, this is ridiculously late to be posting Halloween cards. My apologies...I have been having camera issues. I have a $1200 camera, and I do not know a thing about it. I cannot for the life of me get it to focus clearly...will have to get my oldest son to check it out. My 14 yr. old just got a smart phone last week, so out of desperation I got her to take pics for me with her phone. Not the best quality, but better than nothing I guess. 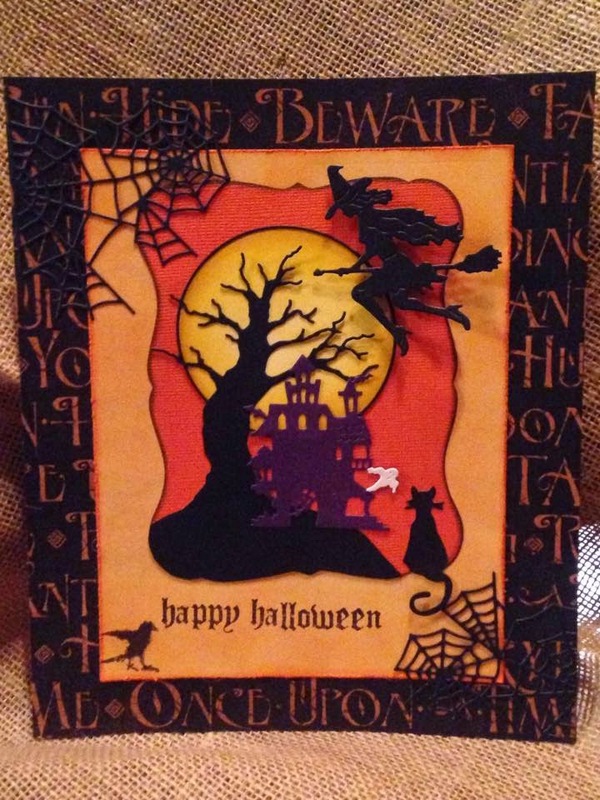 Here are the cards I made featuring several new Halloween dies ... I will list the products used in case you may want to order any of them for next year's cards. 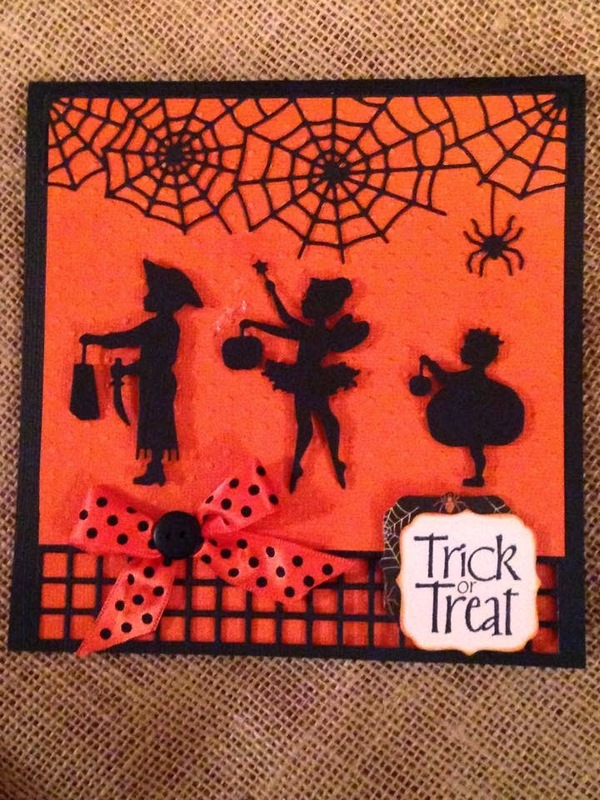 This card is busy, I know, but I just loved all these Halloween dies together! The tiny black crow is from a Silhouette Birds stamp set. 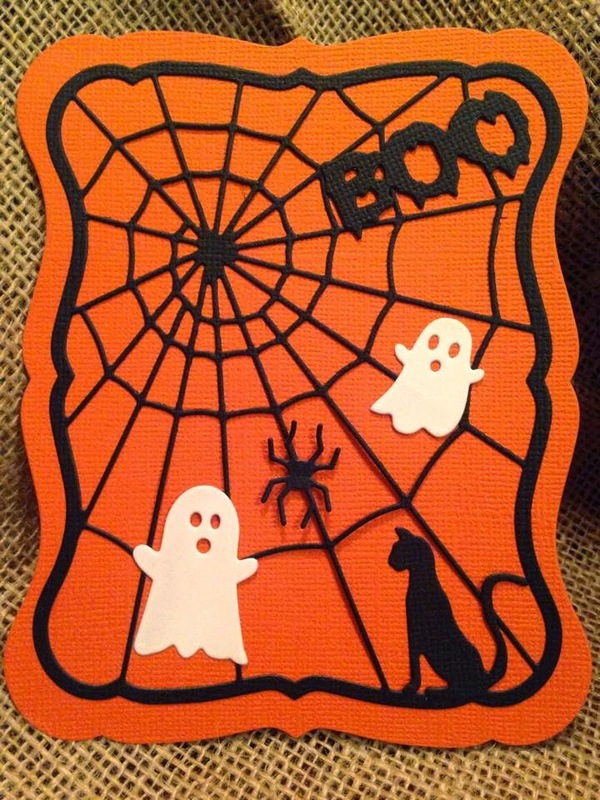 Distress Ink Pads - $5.99 ea. 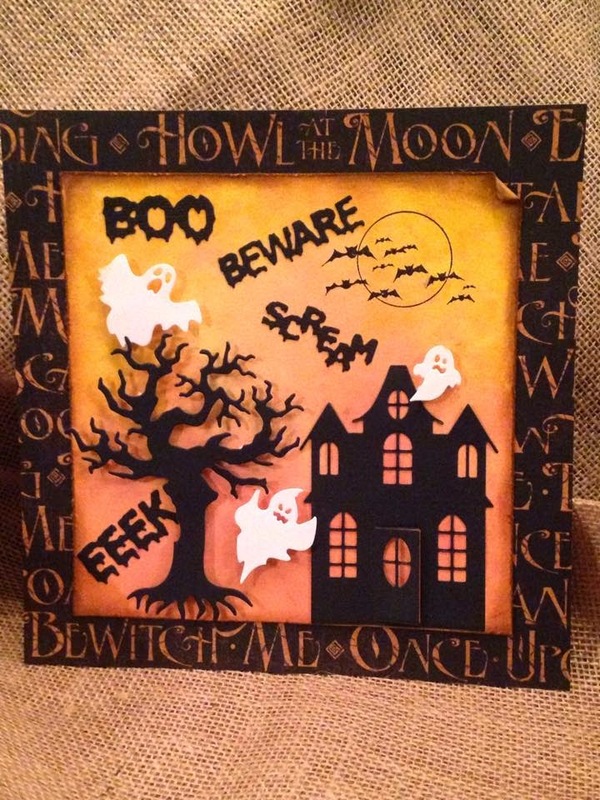 I really like the Scary Words, the creepy tree from Cheery Lynn and the way the Memory Box Manor House looks like it is lit up and how the door actually opens! I just discovered that this house die is now Discontinued. Sorry - Rats! I hate how they get rid of such great dies! This as well as some of their other house dies were classics! Memory Box die 98705 Manor House - DISC. 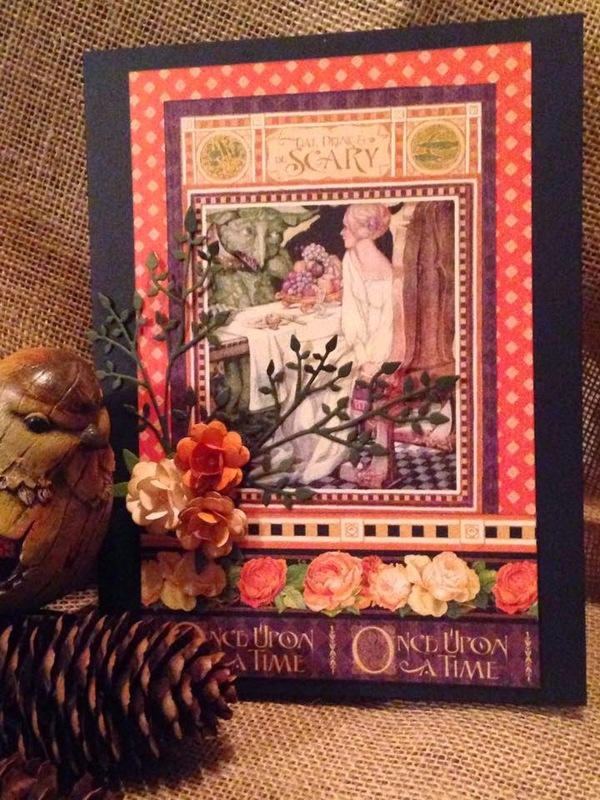 I used several different components from the Graphic 45 An Eerie Tale paper collection on this card. Unfortunately, you can not see the true purples and oranges because of the lighting. This paper is just so beautiful! I loved the way the little roses turned out... this was the first time I used this Cheery Lynn die and they were very easy to assemble. They match the paper perfectly and just added a little dimension. The Impression Obsession Leafy Branch is one of my favorites. Your cards are awesome! Love them!!! 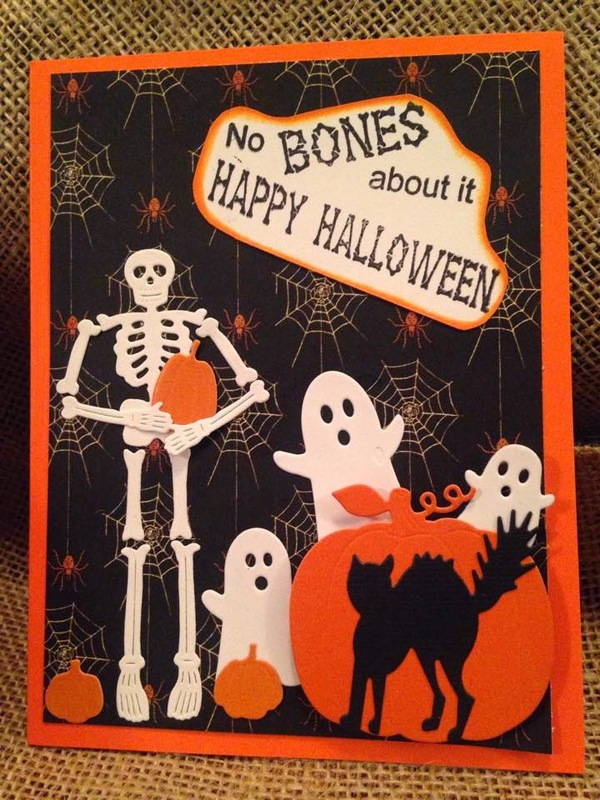 Great Halloween cards....may case a few for next year - LOL!